The Water Screamer®, water leak alarm, is the loudest early warning detector for leaky pipes, faulty water heaters, dishwashers and washing machines, on the market today at over 130db. Use the Water Screamer® to detect even the smallest amounts of moisture before mold, mildew and serious water damage can occur. It can be placed near bath tubs, toilets, beneath sinks, or it can be used as a basement water alarm for early notification of flooding or leaky pipes. Most problems start with a small leak and grow to a disastrous water flow. 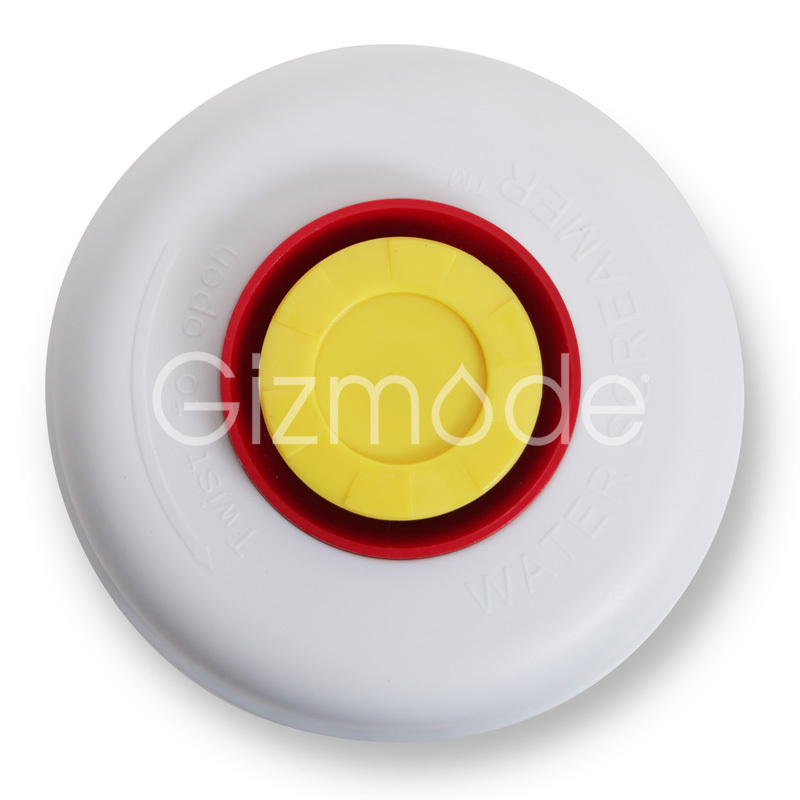 Use the water alarm to detect those small leaks before it has a chance to get out of control. Approximate dimensions (Height/Diameter): 2 1/2" x 4 1/2"
The Water Screamer is the loudest early warning detector for leaky pipes, faulty water heaters, dishwashers and washing machines, on the market today at over 130db. Use the Water Screamer to detect even the smallest amounts of moisture before mold, mildew and serious water damage can occur. It can be placed near bath tubs, toilets, beneath sinks, or it can be used as a basement water alarm for early notification of flooding or leaky pipes. Most problems start with a small leak and grow to a disastrous water flow. Use the water alarm to detect those small leaks before it has a chance to get out of control. This $44.00 saved my winter condo in Fla. I am a snow bird. Last spring just before I came north I placed this unit next to my water heater and headed north to Ma. In Aug. My water failed and started to leak my neighbor heard this thing screaming from the condo next door. They have a key went in shut down the water flow-saved my unit and the one below me from a ton of damage/love the thing!!! You guys ought to be selling ear plugs with this beast. I can't believe how piercing the siren is, it's so loud it's almost visible. And all it requires for power is a 9V battery, incredible!!! Oh my gosh, this is so loud I swear my ear bled when the alarm went off!!!! I was worried that I might not be able to hear the alarm in my basement. I'm pretty sure I could hear this in my neighbor's basement! Extremely loud. Unit shipped fast and I was able to drop in a 9-Volt battery and place it downstairs in under a minute. Click the button below to add the The Water Screamer to your wish list.